I was talking to my friend couple of days ago regarding the various applications that are interesting to be implemented on the blockchain and he gave me an idea of a possible platform for journalists based on distributed ledger networks and blockchain. The idea itself was interesting enough to think more of, but what made it more interesting to me was the complementary idea that came to my mind that night and it was the combination of Medium and blockchain features. We’re living in a world that many journalists are facing difficulties publishing what they write easily, are (mostly, professional journalists) threatened for what they write, don’t have equal opportunities to be seen and their articles be read, can’t make money out of the thing they write reasonably and many other issues that have roots in the way journalism is defined. As long as we have a centralized mechanism to publish what a journalist writes, all those problems will exist. When Ev Williams founded Medium in 2012, it aimed at eliminating a gap between blogs and journalism. At that time, if you wanted to publish something that you wanted the world see, you had either be a journalist to use their media or have a personal blog to publish it. Your chance to make your personal blog viral and attract many readers wasn’t literally too much and not everybody can be a journalist to get their voice heard. Medium, as a social journalism platform, fixed this by letting people write their stories, engage with other people, receive feedbacks and have the chance to get more readers on the platform by the smart algorithms that Medium has implemented to promote interesting stories. That’s great! A tribune for all, based on how their writings are interesting; but there is still an old problem with this platform; it’s centralized! What if we could have all the goodies of Medium on a decentralized network, read, blockchain? It’s decentralized, so no government or any other powerful governing body is cable of taking control of it. A network of peers around the globe are controlling the network. Journalists can select to write with the real identity or stay anonymous (or at least pseudonymous). Those journalists who live in totalitarian regimes can feel safer by publishing their thoughts on such a network and they won’t fear getting caught by those governments anymore. A network of peers on a blockchain is responsible to receive, verify, reject, incentivize, punish or do any consensus-based activity on an article which increases the quality of material published on the network. Even we can think of ranking algorithms for articles. We can have a dedicated cryptocurrency on this blockchain to give as a reward to peers who review and verify articles or as a wage to the writer of an article; a $MED?! Why not! This incentivizes peers to participate more and more and increase the overall quality of the network and the content that is published on it as well as creating an income channel for journalists to make them more independent and allow them to make money anonymously for what they write. It can be easily combined with the current Medium Partner Program. By signing a message (an article/story) on the network its content is archived for good and it’s easy to check the validity of an article throughout the time. It’s not a website of a news agency that they can remove an item whenever they like! Because the most important concept in this blockchain is preventing censorship and providing equal opportunities for all the peers on the network to participate, I think a “Federated Consensus” algorithm like what is implemented in Ripple or Stellar is the best choice for our problem. Using other consensus models such as proof of work, proof of stake, proof of activity and etc., don’t seem to be a good solution because we don’t have the equality for all peers on the network and participation would be affected by many other factors. Because what we’re talking about is just the basis of a blockchain, we can think of many features to be added to the blockchain and I believe it can be easily done using the smart contracts. For example, we don’t look at this system as a killer of traditional newspapers or news agency but all of these traditional media can be users of our blockchain network by utilizing smart contracts and injecting the required logic into the chain and cooperate to make the ecosystem larger, more powerful and trustful. Many of this traditional media can be clients of the content which is being published on the network and by having the right consensus/verification model over the content they can make sure that will receive a better content with a higher quality. So, this is just making the cake bigger not killing traditional journalism, though, we are eliminating many issues in that old model. As I mentioned above, one of the main goals of this blockchain network is helping journalists stay anonymous and get paid anonymously; as we all know, no blockchain is fully anonymous at the moment and in the best case they are all pseudonymous. This is a potential vulnerability that we should think of and apply some obscure technics to make the identity of journalists hidden as much as possible. On the other hand, there might be some issues that can be categorized under the “Game Theoretical Attacks” as we always face disputes in consensus in terms of verification and ranking the articles and we need to think of the Nash Equilibrium here to prevent malicious activities by a groups of peers in order to increase or decrease the chance of articles to be published or get a higher rank on the network. In many blockchains, the size of the block or transactions is not too big, even in those blockchains, we are facing scalability issues. In our assumed blockchain, the content we’re talking about (can be an article, a photo, a video, etc.) are much bigger so we will face more scalability issues and sooner than other networks. It seems we need to apply both Layer 1 and Layer 2 optimizations to keep the network scalable as it grows. We’re talking about having a cryptocurrency as the money that we’re going to substitute fiat money with to pay to the journalists as well as active network peers who are controlling the network. The nature of such thing seems to be anonymous, but as we are thinking of engaging with traditional media like newspapers and news agencies, they might need to have some records of their payments to journalists and it’s a dilemma here. According to local and international laws of many countries and even by respect to the concept of “Freedom of Speech” it seems that we still need to a have a mechanism to identify some people on the network that are doing something against the philosophy of this network. I don’t conclude that having a KYC/AML mechanism is a solution to this but we need to have a mechanism to label those bad guys and keep the network as clean as possible. This is a very basic explanation of what a “Journalism Network Over The Blockchain” looks like, something that can be an idea of a decentralized Medium as well and what pros and cons it might have. Of course both from a technical and non-technical point of views, it should be thought deeper. I admit myself that much more work is needed to make this idea a practical one but I feel it can add more values to the current platform. What do you think? Please share with me your feedback and ideas and kindly point at the technical and non-technical errors I might have talked about above. Why not Honest Cash (HC)? Or Cent, or Civil, or Utilo? All these alternatives to Medium are top-down. They are centralized. My preference is for them to be decentralized, but with market, rather than democratic, governance. An example would be if Utilo used donations to decide its currency. Another example is how the the Libertarian Party is currently using donations to decide its convention theme. Yet when you go to the Civil homepage one of the top articles is about how there's an epidemic of… garden gnome thefts. LOL. 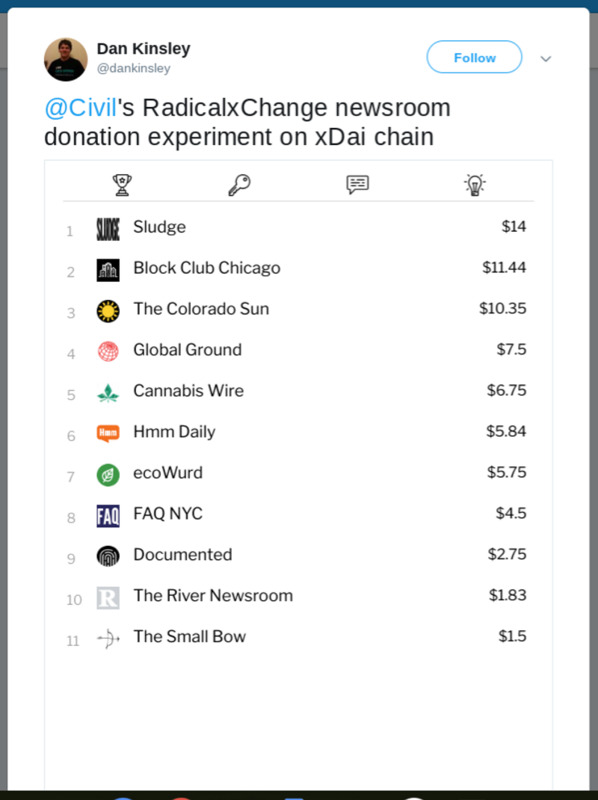 Evidently Civil doesn't use donations to determine the newsworthiness of things. Should it? Here on HC the content isn't ranked by donations, but it is ranked by spending. Kinsley can join HC and use his money to help improve how the content is ordered. Well, except for his own content. If the market is the best system for prioritizing content, then it must be the best system for prioritizing development. There really can't be two best prioritization systems. Recently I learned about another alternative to Medium called Murmur. Its homepage features… itself. Why doesn't the homepage feature the site's best content? HC has the same problem. 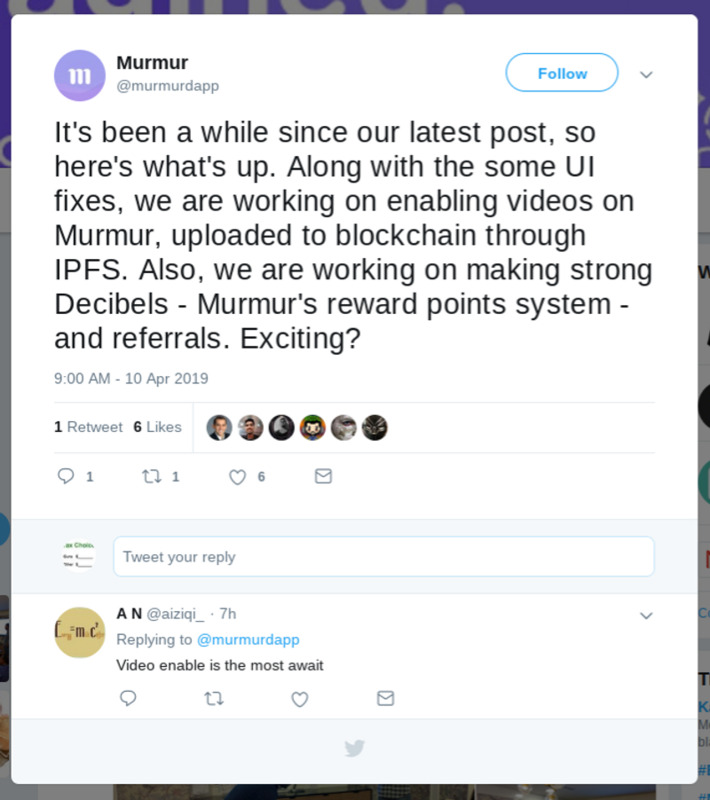 How different would Murmur's priorities be if they were determined by donations? Right now HC is by far the best alternative to Medium. This is simply because finding HC's best content, as defined by the market, is relatively easy. And it would be even easier if HC put its best content on its homepage. And "best" would be better defined if we could spend our money on our own content. But the fact is, HC's governance is centralized. If the market is truly the best prioritization system, then any of the alternatives to Medium could implement market governance and quickly surpass HC, Medium and Facebook. Thanks for your comments and valuable information. I agree that we have many alternatives and they're awesome. I think they need to be widely used to be as popular as Medium; that's the tradeoff of such systems that should be considered.